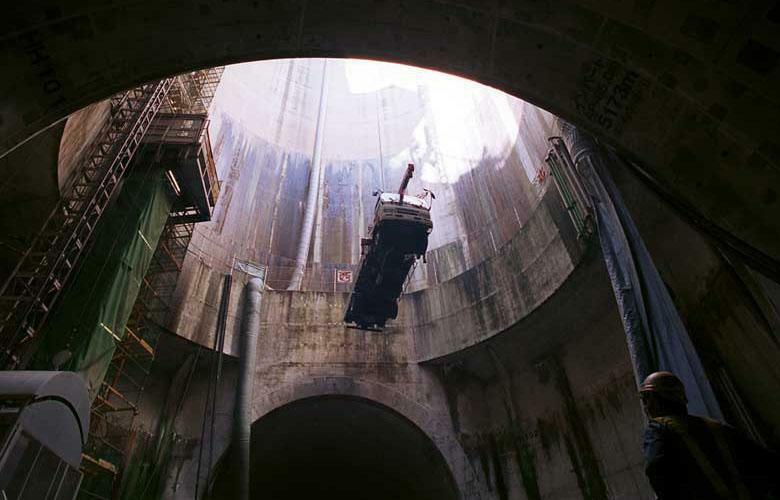 The pressure-controlled water tank at the Metropolitan Area Outer Underground Discharge Channel in Kusakabe, north of Tokyo. The facility, which is believed to be one of the largest facilities in the world, is composed of giant concrete containment silos (65m tall, 32m wide), connected by 3.97 miles of underground tunnels 50m beneath the surface as well as a large water tank called the "Underground Temple" which is 25.4m tall, with a length of 177m and 78m wide, with 59 concrete pillars. 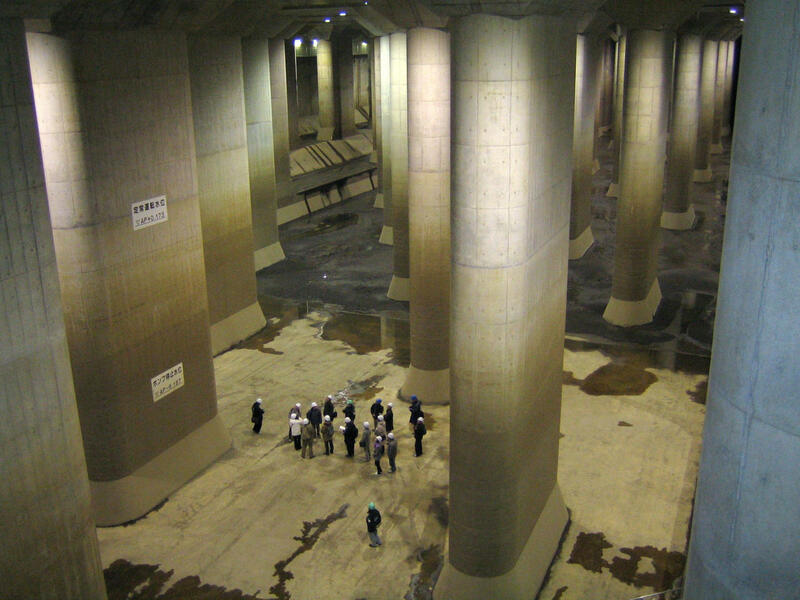 The Metropolitan Area Outer Underground Discharge Channel, also known as the G-Cans Project or the "Underground Temple", is an subterranean water infrastructure project built to protect the capital Tokyo against floodwaters during rain and typhoon seasons. It is believed to be one of the largest water collection facilities in the world. 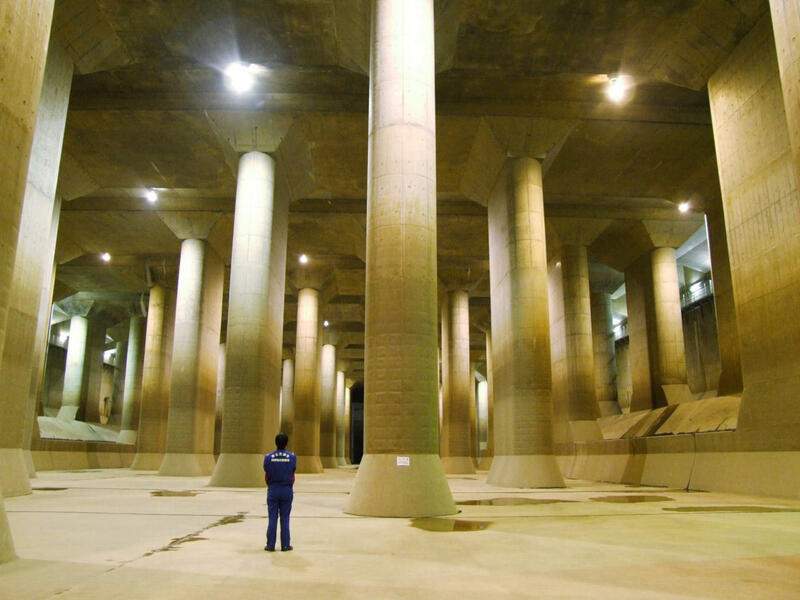 Building began in 1992 and the massive structure now consists of five concrete silos, a large water tanks and 59 pillars connected to a number of pumps that can pump up to 200 tons of water into the Edogawa River per second. It has also become a tourist attraction, as well as a location for movies, TV shows and commercials.